Click Here to Complete Our Podcast Sponsorship Survey! Savannah Grey is the founder of Esteemology, where she blogs about relationships, codependency, narcissism, self-love, and related topics. She’s also a coach and hypnotherapist. And I invited her onto the show to talk about self-esteem. Brian: Savannah welcome to the show. I’m so glad that you’re here. Savannah: Hi Brian. Thanks for having me. Savannah: Everyone goes through periods where they’re not feeling confident. I think what you’re talking about are those deep-seated feelings of not being good enough and feeling like you don’t have value. This is a big problem for codependents, and unfortunately there is no easy quick fix. I’ll give you the first two steps. I think we need to understand that this is a process. There are a number of steps involved. There’s a lot of self-work that has to happen; a lot of introspection. These feelings are deep, core beliefs and they got that way by repeatedly receiving and internalizing the message that we weren’t good enough from our caregivers and our environment. You have to combat that the same way. The first step is understanding where it comes from. We know codependency is often a generational issue. The same messages and behaviors are repeatedly passed down from one to the next whether intentionally or not. We have to cognitively grasp as adults that the messages we received from our parents were wrong. They were lies that someone kept telling us over and over again, and we believed them. What you don’t pass back, you pass on. So pass it back and commit to the idea that this is not your baggage to carry, and you’re going to leave it with your parents and your grandparents. It’s not going any further. Once you grasp that concept, the next step is to realize that you can’t get your worth from other people because they don’t have your worth to give you. No one can give it to you but you. It’s an inside job, and if you knew who you truly are and how powerful and important you are, the whole concept of not being worthy would seem ridiculous. You were born worthy. You were born good enough, and no one can give it to you but you because it’s already yours; you just have to be brave enough to reach out and take it. Every day you wake up, you choose to make that decision that you’re good enough. Every day you repeatedly make the choice to own your own worth until it becomes habitual. When you own that behavior, you have to own all of the steps that come with it as well; protecting it, creating it, enforcing boundaries, getting rid of toxic people, and learning how to communicate in a healthy way. Those are the first two steps I would say. Question: About “passing it back”, I’m curious, how do you actually go about doing that? What’s funny is, for me, it’s almost like I would physically see a hand up like it’s not going any further; I’m not absorbing this. It’s an emotional process and mental process where, when you’re able to recognize it you can stop it. When you’re oblivious to the whole concept and it runs your life, you’re just rotely repeating the behaviors that were taught to you as a child. You end up passing this onto your children. So, you can say it goes no further; even visualize putting a hand up like, ‘I’m not doing this’, and being cognizant of the fact that this is happening. Be mindful that this is part of your pattern. Question: Moving on to another question. I’m curious, what would you say are some of the best ways to practice self-care? Self-care really means meeting all your own needs emotionally, spiritually, physically and financially. From an emotional perspective, it means knowing what it is I need, what makes me feel good (and making sure that I get it). That’s a lot harder for a codependent than one may realize because they are so other-person focused. Spend time figuring out what makes you feel good, what you enjoy, what makes you happy, what makes you laugh. And put aside the time and the energy to give yourself those things spiritually. It means finding purpose and things that fill you up; that nurture and inspire you physically. It means eating well, exercising, getting enough sleep, and doing good things for your body. Taking care of yourself financially simply means that you find a way to make sure that you don’t need anyone financially; that you can meet all your financial needs yourself, and you’re not dependent on someone else to take care of you. And that could mean going back to school, or changing jobs, or getting into a new field. It means that you’re not dependent on someone for needs that you can meet yourself. Question: You were talking a little earlier about the messages that get put into us, perhaps from our parents when we’re young, and that sometimes they’re wrong. So, can you talk about how you recommend becoming aware of those messages – your inner critic, if you will? And how do you minimize those messages? Savannah: The critical parent voice. Yes, I think most people have that little voice inside your head that tries to talk you into getting into trouble. For those of us that come from abusive homes, this voice is much more damaging. It’s the critical parent voice and it’s always trying to keep you stuck in your patterns. It does this by self-sabotaging your efforts to better yourself and change. It creates doubt and fear. It makes you take responsibility for other people’s stuff. It minimizes other people’s bad behavior. It’s obsesses. It justifies doing things you know you shouldn’t. And it beats you up emotionally; it’s always trying to keep you where you are. The way you stop it, or at least control it, is first by recognizing that you are not this voice and that may sound crazy, but there is a voice in your head and it’s not you. It is part of your “disease” of co-dependency. You’re an observer of this voice. It’s your critical mom’s voice that decided to stay in your head. Even though you moved away from her, she kind of went with you. She’s still in your head. Or, it’s your dad’s disapproving remarks. Recognize first that it’s not your voice. This voice is your co-dependency. You can be mindful of it when it comes. I think that’s important. When you know what it is, it takes away its power. When you become aware that this voice is trying to keep you stuck and it’s not just some random thought or feeling floating around, it takes a lot of its sting away from it. For a lot of my clients, once they know how to recognize it, we’ll say, “Get lost voice!” They stop listening to it. They battle it so they’re not a victim of it. They’ll actually yell at it. It really helps. And then you give yourself something positive to focus on such as goals, your “To Do” list, things that make you happy, or a gratitude list. Replace the negativity with something else. You’re making new neural pathways here by repetition. This isn’t easy; it’s a battle. And it’s something you have to practice over and over again until it becomes rote. I still get the odd thought coming up. I was at a grocery store a little while back and I wanted to get something sweet, so I threw some chocolate on the conveyor belt. I immediately felt this wave of shame coming over me. That’s something my mother would do to me. I was thinking, ‘The woman behind me is going to be judging me, and the cashier is going to be judging me.’ And the reality is they couldn’t have cared less. At this stage I’m able to recognize it for what it is, and I’ll ask myself, ‘Well, why am i feeling this way? Okay. That’s my co-dependency.’ And then I’m able to minimize it, and then I just throw it away and go on with my day. Brian: By the way, for anyone who’s listening who wants to hear more about the concept of the Inner Child and how to unlock it, episode 4 this podcast with Dr. Nicholas Jenner was all about inner child healing, so feel free to check that out as well. I want to ask you a follow up question to that. Question: You’re talking about these patterns and these voices inside your head. How do you recommend stopping obsessive thoughts like that, and just taking control of your own mind when you want to keep ruminating in these things? Well just like I said, when they come at you, you have to recognize that this is your disease. This is the codependency at work, trying to keep you stuck, trying to lead you to a place of hurt. So many people in my practice are struggling so much with these obsessive thoughts, and they’re thinking about their ex-partner and it’s driving them crazy, and it’s really doing a number on their ability to function. And what happens is it takes up pretty much every moment of their life; they’re checking their phone, they’re checking their e-mail, they’re doing drive-bys of their houses, they’re pretty much sending up smoke signals just trying to get some kind of contact. The whole goal of that really is to recognize that this is a problem. This is your co-dependency at work trying to keep you in an abusive relationship. So you have to be mindful of it and know that it is not you, it is your co-dependency; that critical parent voice is your codependency. You have to know what it is. Like I said, label it, minimize it, and throw it away. My clients yell at it, “Go away, go away. I’m not going there. I’m not going to that obsessive place that you want to take me to.” And then put your focus on you. Put your focus on the next chapter of your life. What are your goals this year, and what are your goals five years from now? That kind of thing. Question: Shifting gears a little bit, what are some ways you would recommend that we raise our emotional energy? Savannah: In those kind of moments emotional energy is so important because you don’t attract what you want, you attract what you are. And so, it’s a real part of the healing process; learning how to rise above it, because when you are no longer on the same emotional vibration as an emotional manipulator, you’re not going to be interested in them at all. It’s a big part of the healing. You’re going to repel them, and they’re going to repel you. I think you need to practice self-care, definitely treat yourself as a person of value, and not allow negative people, events, or circumstances to disturb your inner peace. Cut out things and people that don’t make you feel good. Exercise, laugh, spend time with people who love, support, or nurture you. Be with animals, be in nature, and definitely meditate. I have a quick 4-minute meditation I do every day, where I just breathe in the feeling of joy and I exhale joy to the world. Breathe in the feeling of joy, and it takes you to that feeling, that vibration. When I’m done, I’m really in a different space, vibrationally. I want to do things throughout my day they keep me in that space. This is where I’m very protective of who I let into my inner circle, and very selective of the kind of thoughts I have. This is where you use that control over your emotions and your thoughts, and you try to push away the negative ones and just allow the positivity to come over you. That’s what I would suggest. Question: Is it realistic for somebody to go from low self-worth to higher self-worth while they maintain relationships and friendships that they currently have? What kind of light can you shed on that? You know, I have a different take than a lot of your other guests. I would say if there are toxic relationships, no, because codependents don’t know how to be in a relationship in a healthy way. They tend to lose themselves and their identities, and become enmeshed with the relationship, and their lives become all about the other person. I tend to think of it like trying to kick an alcohol addiction while you’re living in a bar. I think you need to remove the distractions and be away from the other person’s influence to heal properly. Your change can’t depend on someone else changing. And if you’re a co-dependent, there’s a pretty good chance you’re with some type of emotional manipulator, and they don’t want you to change. They don’t want you to grow and get better. They’re going to do everything within their power to sabotage your efforts so that things stay the same, and you remain with them and under their control in terms of friends. I think you should remove anyone from the front row seat of your life who doesn’t support your growth. Question: We had a previous conversation about a week ago, and you mentioned that autonomy is really what we’re after. That’s a really key word for you. What can you tell us about autonomy? What does that mean to you? For me it means I take care of myself in every way. I don’t need you to show me my worth. I don’t need you to pay my rent. I’m content. I’m secure and happy in an empty room when I come from this place. I’m coming from a place of strength, and I make better choices when I’m empowered. When I’m running my own show, I make decisions that add value to my life. I’m not making decisions based on fear, need, or desperation. That’s what it means to me. Question: What do you think about the concept of beneficial interdependence with another person? Is it okay to be interdependent with somebody? Is it healthy in any circumstance to have dependency on someone or do you think it’s best to be completely autonomous? You know, I can’t ever say it definitively has to be this way. What works for one may not work for another. But I think when you’re a codependent there is such a fear of being alone. There’s such a need when I’m talking about autonomy. For codependents, I am talking about the disease itself. There is this need to focus on someone else, to be with someone else, to get lost in them, to live your life for them. And for me the big difference is I want to live my life for me. I want it to be all about me. For me and a lot of my clients it’s the best way to be because you’re able to logically make decisions that are right for you when you get to this place. That doesn’t mean that if you are with supportive people that you can’t heal and grow. I’m talking about when you’re with people who are controlling. Then, it’s best that you get away from them and you start to do your inner work. Question: With all your experience coaching your clients, and with blogging and everything that you’ve done to create this practice, this whole platform that you have – What would you say is your biggest piece of advice for a codependent person? Oh wow. My biggest piece of advice for codependents would be that you are so important; you are so special, so unique, and so worth it. Change is possible. Becoming autonomous is possible. Life is so different when you take center stage of your life. You can change the relationship you have with yourself. You can teach yourself the skills you weren’t taught as a child. You can teach yourself how to develop adult coping mechanisms. You can heal the wounded child. You can learn how to be empowered and how to do right by you. Life is so different on the other side. Do it. You won’t be sorry. I think you had mentioned you had done some type of survey, and a lot of your viewers had said that they would rather be in a bad relationship than be alone. And I thought, ‘Oh my gosh that is so wrong.’ It’s so good when you are autonomous; when you feel good, when you’re healed and you’re able to be happy, to be by yourself. I think when you’re going into a healthy relationship you need to have two people who are making the choice to be together because they want to, because it adds value to their lives, not because they need to, not because there’s some kind of psychological addiction they have to helping people or controlling people. When you’re healthy, when you come from this space, you make better decisions, you make decisions that are right for you and you’re not afraid to walk away when it doesn’t serve you. Brian: This is something that I ask every single guest that comes on, and we have such a nice variety of responses to that. There are certain key things that need to be done in order to heal. But everybody’s path is so different. So, it’s good to get different pieces of advice from different points of view. Thank you for that. Question: I’d also like to give you a couple of minutes to discuss your platform. You have a website called Esteemology, and we alluded in the episode that you work with clients one on one as well. Would you like to tell the audience about your site and about your coaching? Sure. I’ve been a blogger for over five years. I have a degree in psychology. I’m a hypnotherapist. In my blog, we tackle all the nuances of narcissistic / codependent relationships. We talk about tackling codependency, self-esteem, self-care, healing and growth. Like you mentioned, I do provide Skype sessions to help people struggling with these issues, and I’ve been doing that for four or five years. I’ve got an online course coming out soon that’s going to hopefully help people get over the crushing agony of a breakup with an emotional manipulator. We have real practical tips on how you can stop yourself from being destroyed by the relationship. There’s a hypnosis video on detachment. 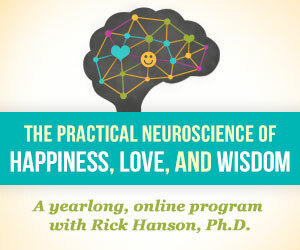 You’ll be able to learn how to stop obsessing and take control of your life. I think in the not-too-far future there’s a book coming, and also I’m going to be doing some one minute daily videos on my social media, or giving a daily thought on self-esteem or tackling codependency. Brian: Great. Sounds like you’ve got a lot going on over there. And you’re based out of Toronto, correct? Question: Well, as we wrap up for good do you have any final thoughts at all for the audience before we go? Savannah: I think for a co-dependent, you’ve been conditioned to stay where you are. You’ve been conditioned to put up with bad behavior. I would like to say to any codependents out there – If you’re not happy with yourself or your relationship, find the courage to do something about it. Don’t let fear stop you. Listen to your life, it’s always trying to communicate with you. It gives clues. Be brave and open enough to listen and live your best life possible, because you’re in this one. You’ve got all these incredible things around you; beautiful nature, love, people that are important. Don’t be afraid to reach out and take all of those, and leave all of this negativity behind. There is help. There is something you can do about it. Don’t be afraid to try. Brian: Thank you for that final thought. And thank you once again Savannah for coming on the show. Glad that you could carve out some time to do this. I think that people will get some value out of what you’ve described today. Savannah: Thanks Brian. My pleasure. Great interview. I especially agree with identifying the voice of codependence and correcting it aloud,whether by yelling at it etc. Verbalizing objection to the voice of codepenence often empowers me and further brings out the truth of the matter, that I am worthy! Thanks for posting. You’re welcome Miranda, glad you enjoyed it!